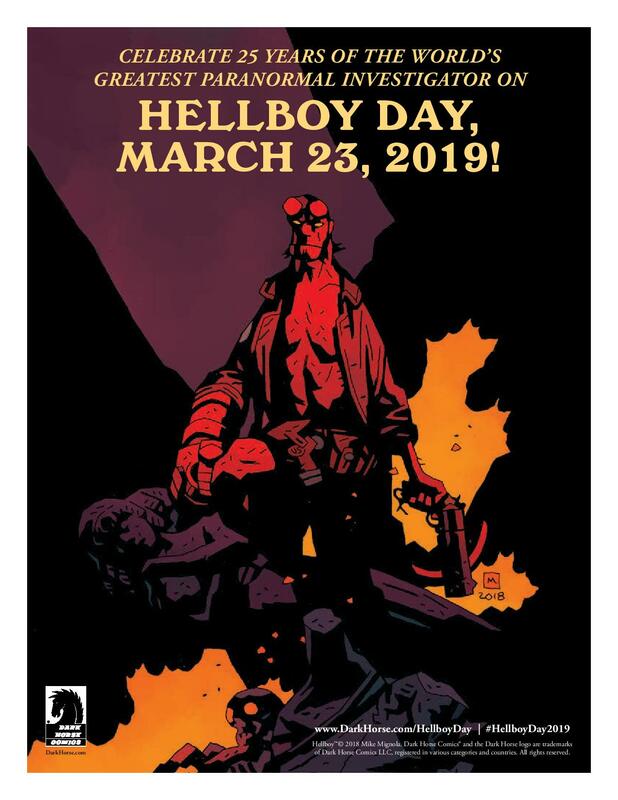 Are you ready to celebrate with Hellboy!? I know that Jonthan is!! March 23rd marks the 25th anniversary of Mike Mignola’s Hellboy. 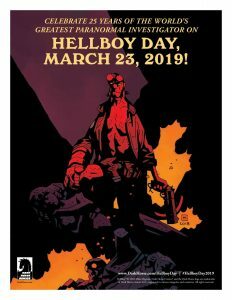 To celebrate the occasion, Dark Horse has deemed the day “Hellboy Day.” “Seed of Destruction” was introduced in 1994, and fans clamored to the right hand of doom, and the Bureau for Paranormal Research and Defense! In it’s honor, Dark Horse will be publishing a 25th anniversary, promotional edition of Hellboy: Seed of Destruction issue 1, with a new cover by Mignola and Dave Stewart! For more information about the Mignolaverse comic books and graphic novels, as well as announcements of Dark Horse Comics’ plans for 2019 to celebrate the 25 year anniversary of the first Hellboy comic book, Hellboy: Seed of Destruction, follow the company on Twitter, Facebook and Instagram.